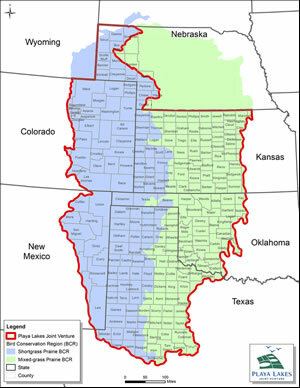 The North American Wetlands Conservation Act (NAWCA) provides federal funding from the US Fish and Wildlife Service in the form of matching grants for projects that support long-term wetlands acquisition, restoration, and/or enhancement to benefit migratory birds in the United States, Canada and Mexico. Up to $100,000 is available for proposed projects in the small grant program. For larger projects, the standard grant program is best, with up to $1 million available per project. Both of these are partnership-based grant programs, so developing a working relationship with multiple partners is key. 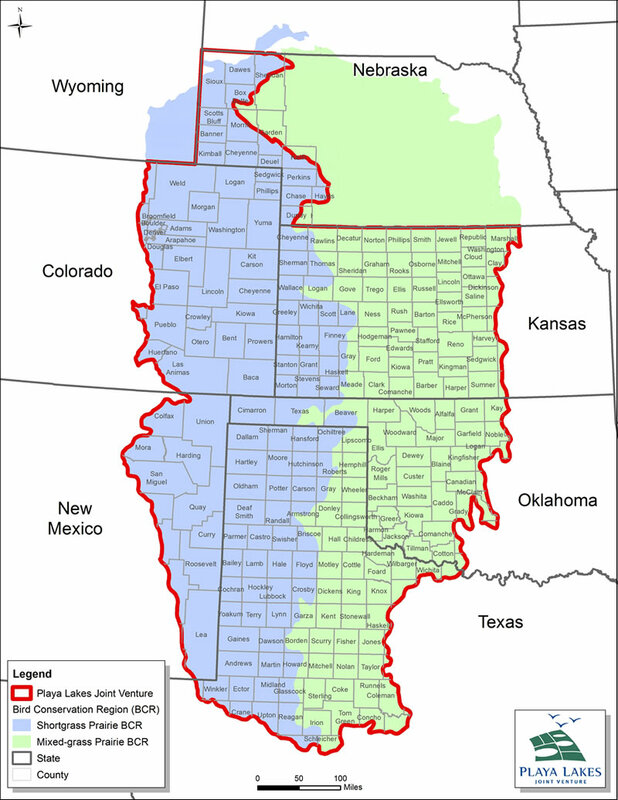 The NAWCA review committee relies on Joint Ventures to rank and evaluate proposals for their region, so it is essential that applicants work with PLJV when developing NAWCA proposals within our boundaries (see map to right). You have more than one partner contributing money or in-kind work to the project. PLJV can help conceptualize the project, suggest additional partners, review the proposal, and provide the necessary bird conservation information including the project value for birds. PLJV has also developed checklists and suggested timelines to help applicants stay on top of proposal requirements. For example, certain portions of the proposal will need to be submitted under grants.gov. If you have not previously worked with that website, you’ll need to set up an account at least three weeks prior to when you’d like to submit your proposal to receive a username and password. If you are interested in developing a NAWCA grant proposal, contact Christopher Rustay at 505-414-0342 well in advance of when you would like to submit your proposal.